Finally here is something excited for those juniors who are looking for topics for informal letter writing for class 8 and class 9. We have chosen important 13 Informal Letters for Class 8 and Class 9 with the point of view of Exams. 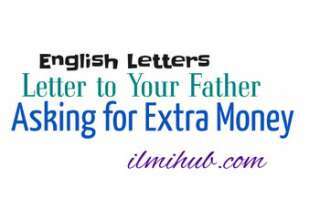 These Informal Letter Writing Examples are for the students of 8th class but weak students of 9th Class can also prepare these informal letters for exams. These informal letter formats are easy to learn from the heart. However, you need to practice to get a grip on them. There is also a formal Letter format for Class IX at the end of these 13 informal letter formats. 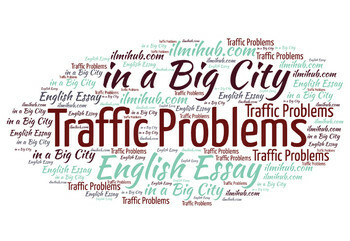 You can also visit English Letters Writing for more Letters. Aslam-o-Alaikum! I received your letter. I am glad to know that you are in good health. You have inquired me about my health. On the 10th of last month, I had a sudden attack of typhoid. Doctor Afzal Hashmi treated me for ten days. I took medicine regularly. After complete bed rest for 10 days I recovered. Now I am all right. I am taking good care of my diet and exercise. I am going to School regularly. You need not worry about me. 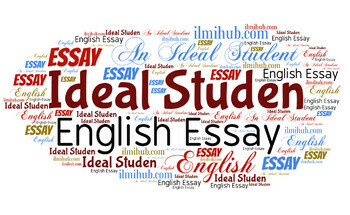 This is an easy letter if you want this letter for Outstanding Students Click Here. Aslam o Alaikum! I hope this letter will find you in the best of health. Today from Maqsood’s letter. I have come to know that the mother is suffering from high fever. I am really worried about her. I am certain that you are taking good care of her health. I pray to Allah Almighty for her early recovery. Please inform about her present condition as early as possible. 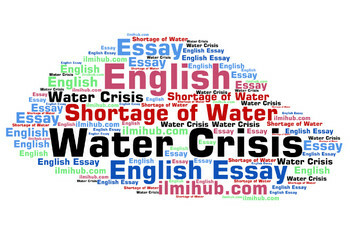 This letter is easy to prepare and for 8th grade, if you want this letter for Hight Classes Go Here. 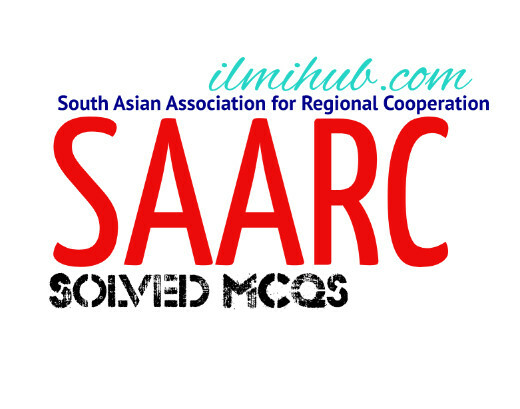 I am very happy to know that you have passed the Secondary School Certificate (S.S.C) Examination with credit. You got the first division in the examination. I congratulate you on your brilliant success. I am sending you the gift of a wrist watch. May you succeed in every sphere of life. Aslam o Alaikum! How are you? By the Grace of God, I am quite fine. I am sorry that I could not write you earlier. I was taking the second terms papers which ended yesterday. I did well in all the papers. I hope to get 90% marks. I also hope I will stand first in my class. It is possible If you pray for me. I request you to pray for my success. Thank you. Pay my regards to all at home. If you want this letter for 9th Class or 11th Class then You can Visit This. 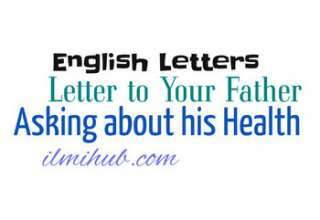 Hope this letter will find you in the best of your health. You will be happy to know that I stood first in my class getting 765 marks. I had to buy some helping books to my course and stationery. They have emptied my pocket. I have run short of money. I shall be grateful to you if you send me extra 1000 rupees for the payment of hostel dues. 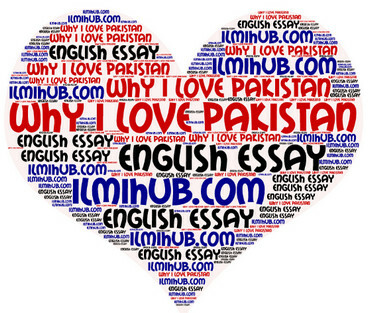 This Letter is also available at IlmiHub for 9th Class, 11th Class and Graduation. To get that Letter for Brilliant Students Follow This Link. I hope this letter will find you in the best of health. I am very happy to know about your brilliant success in the standard middle examination. I think you will definitely get the scholarship. Now it is time for you to decide whether you like to study humanities or science subjects. I advise you to study the science subjects because this is the age of science. There is no progress without scientific knowledge. If you want to progress science is the best field of study. Doctors, Engineers, Architects, IT specialists are all ornamented with the scientific knowledge. I wish you to become a national hero in the field of science. This letter is also available for higher classes at This Link. I am very happy to know that it is your birthday on the 10th instant. I congratulate you on this happy occasion. It is a time of great pleasure for you and your family. I am sending you a gift of wrist watch. It will remind you of my love for you. Pay my regards to dear uncle and aunt. Informal Letter Pattern No.8 | Write a Letter to Your Friend Requesting Her to Spend Her Summer Holidays with You. I hope you will be fine. Our school will close on the 5th of June for the summer holidays. You told me in your letter that your school would also close on the same day. I wish you to spend a couple of weeks of the holidays with me. We shall visit Murree, Sawat, Gilgit, Kalam etc. Your company will add to the beauty of this journey. I am sure that you will do come. Kindly let me know by the return of post about your program. I am waiting for your reply anxiously. This is an important letter for the exams of all classes. For higher classes, this letter is available here. Hope you are doing well. Your letter came to hand yesterday. I am very happy to know about the marriage ceremony of your sister. I congratulate you on this occasion. I am sorry to say that I cannot attend the ceremony because of my midterm tests. I need to prepare for them to get good numbers. I hope you will not mind it. Pay my regards and congratulation to all at home. I hope this letter will find you in the best of your health. My examination is over. I am quite free these days. I want to improve my English. Please lend me some books about English language and literature. I promise to use them with care. I shall return them as early as possible. Pay my compliments to your parents. I reached home quite safe and sound. I am quite fine here. I spent a good time with you. I felt as if it was my own home. Your parents treated me as their own family members. I shall always remember their love for me. My mother and father are all praise for you and they wish me to offer you thanks for your kind hospitality you showed for me. Convey my thanks to aunt and uncle for their kindness and love. 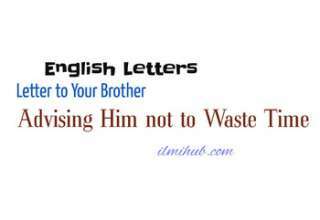 Informal Letter No.13 | Write a Letter to Your brother Advising Him to Take Steps to improve his Health. Your letter came to hand today morning. I am very much worried to know that you have grown weak due to overwork. Nothing can compensate the loss of health. You should take due care of your health. Go for a morning walk daily. Take regular exercise. Take balanced diet. Do not study till late at night. Act upon this saying “Early to bed early to rise, makes a man healthy, wealthy and wise. I always pray for your good health. I need the following books urgently. I shall be thankful to you if you send these books to me by V.P.P. Kindly allow me a special discount on these books. Here is my home address where you can send this book. Thanks in advance. History of writing Letters is too old. So, this practice is included in the English Subject of different classes. 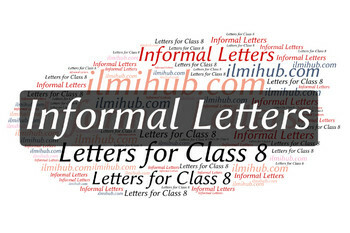 I have shared 1 Formal Letter Pattern and 13 informal Letters for Class 8 and Class 9. 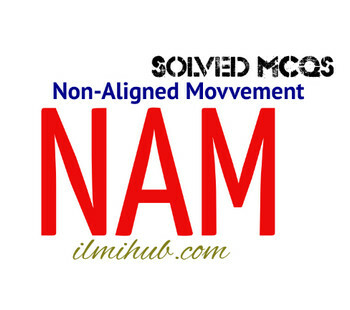 Moreover, under each letter, there are links to the same letters for higher classes.